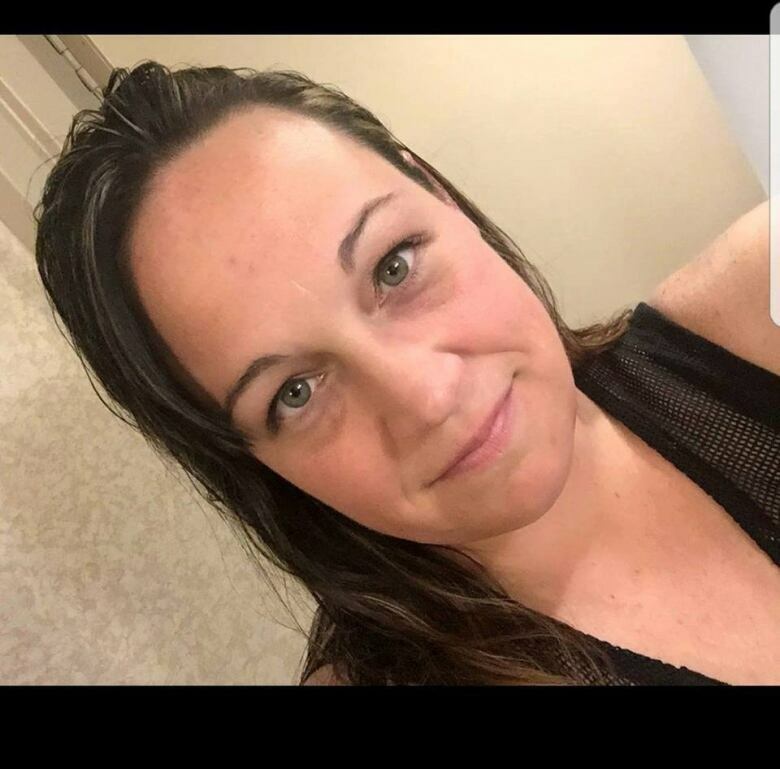 A woman from Jasper, Alta., was among the people killed in the Las Vegas mass shooting, bringing the number of Canadians killed in the massacre to at least four. Four Canadians are among the 59 dead in Sunday's mass shooting in Las Vegas. On Tuesday it was confirmed that Calla Medig and Tara Roe Smith, 34, both from Alberta, died in the attack. Medig, who was in her 20s, was from Jasper, Alta. Roe, 34, was from Okotoks, just south of Calgary. She had been reported missing since Sunday. 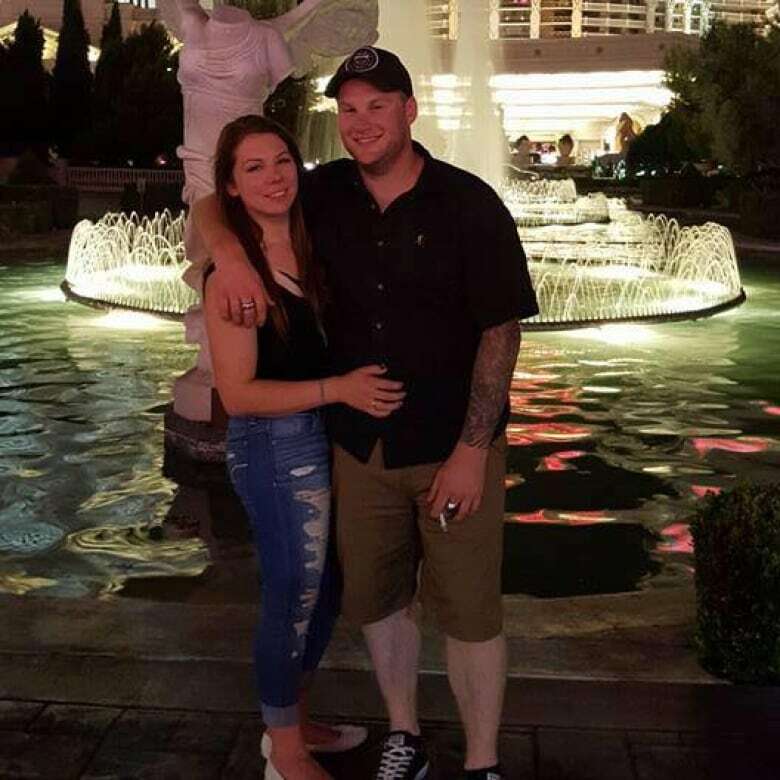 Jordan McIldoon, 23, of Maple Ridge, B.C., and Jessica Klymchuk, 34, of Valleyview, Alta., were also killed when a gunman opened fire on a large crowd near the end of the outdoor festival on the Vegas Strip. Their deaths were confirmed by their families on Monday. Two women from Manitoba and two men from Saskatchewan remain in hospital after Sunday night's mass shooting at the Route 91 Harvest music festival. Klymchuk was a mother of four and worked at a Catholic school in Valleyview, east of Grande Prairie. Local pastor Rev. Abraham Joseph said teachers and students cried when they were informed of her death. Joseph said Klymchuk was loved by the kids and said he'll be spending time at the school this week to support them and the staff. McIldoon's parents, Al and Angela, confirmed their son's death. They said he was attending the music festival with his girlfriend, and they were supposed to return home Monday night. "We only had one child," they said. "We just don't know what to do." They wrote that their son grew up on the family acreage in Maple Ridge, and was a "self-described cowboy boot, tattoo-covered redneck who loved the outdoors." McIldoon was a heavy-duty mechanic apprentice and about to start trade school in the Okanagan. They said the Canadian Consulate was being supportive, and they had received calls from McIldoon's girlfriend and Las Vegas paramedics. Heather Gooze, who was working as a bartender at the concert, said she was with McIldoon after he was shot. Gooze said that when his phone rang in his pocket, she answered, then found out his name from the friend who had called. She wrote his name down on his arm, then looked up his family on Facebook and started messaging them. She said she eventually contacted his girlfriend, who was in lockdown nearby. "She said, 'Please be honest with me, what's going on?'" said Gooze. "And I said, 'I didn't want to be the one to tell you this, but he didn't make it.'" McIldoon's mother then called and Gooze promised she would stay with her son — which she did, for hours. "I wouldn't want anybody to leave. You know, I couldn't just leave him by himself." Sheldon Mack, 21, from Victoria was also injured in the attack. Two Manitoba women and two men from Saskatchewan are also in a Las Vegas hospital. One of the men, who was shot in the head, is unresponsive. Another Saskatchewan woman in her 30s from the same group was shot in the foot. By Monday afternoon, officials confirmed that at least 59 people were killed and 527 injured. Global Affairs is deploying a team of consular officials to Las Vegas to assist Canadians. According to a release, they will be working closely with U.S. authorities to identify and help any Canadians hurt in the attack.